Scope of activities of SR LTD is supply of industrial equipment, engineering of industrial equipment, setting-up and maintenance of industrial electrical equipment. Certified SR LTD specialists in the field of industrial automation and electric drives, with extensive knowledge and practical experience, are capable of executing a complete range of works, from project creation to commissioning of automatic control system of any complexity. SR LTD carries out supply of SIEMENS equipment both in Dnepropetrovsk region and Ukraine-wide. 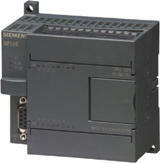 DC converters SIMOREG DC MASTER, frequency converters SIMOVERT MASTERDRIVES, frequency converters MICROMASTER. SIMATIC S7 programmable controllers, SIMATIC ET 200S distributed I/O station, SIMATIC C7 control units, LOGO logic module. SIMATIC Push Button Panels, SIMATIC Micro Panels, SIMATIC Mobile Panels, SIMATIC Multi Panels, SIMATIC Panel PC, SIMATIC WinCCflexible. SITRANS P pressure transmitters, SITRANS T temperature gages, pyrometers, general characteristics of pyrometers.